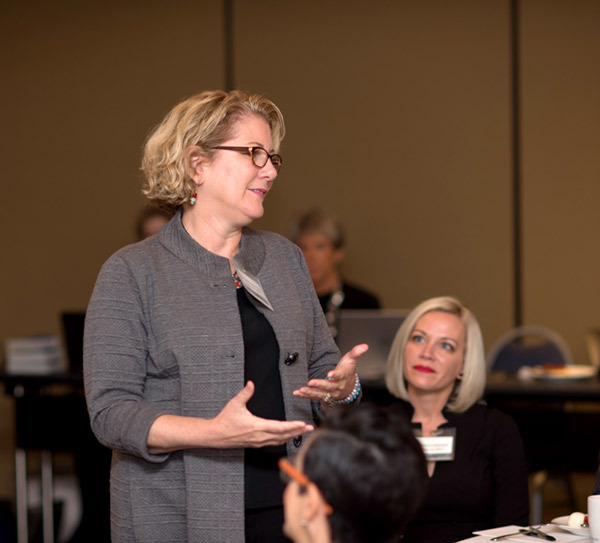 The Carol Emmott Fellowship helps exceptional women leaders increase their influence, impact, and national visibility. 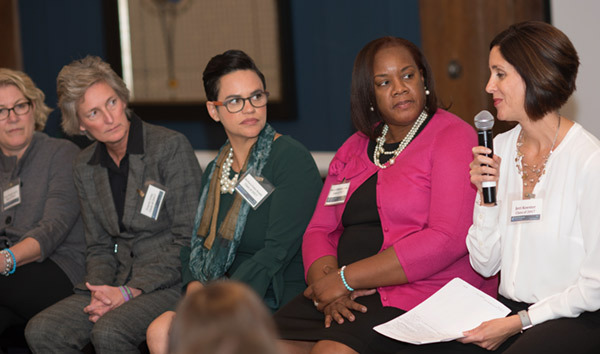 The fellowship is uniquely designed to spark change and improve gender equity in health leadership. The 14-month fellowship program includes a series of in-person convergence conferences with monthly webinar discussions led by some of the brightest minds in health and policy leadership. Fellowship recipients are paired with hand-selected mentors who are nationally recognized senior executive leaders. As part of their fellowship, fellows design and complete an impact project in their health communities. Additionally, participants receive an honorarium to cover further desired professional development. Fellowship candidates must first be nominated by leadership at their own institution or by an organization within their health community interested in sponsoring them. Each sponsoring organization may nominate up to three candidates for consideration. Nominations from all health sectors are welcome. Find out more about the selection process or download a nomination form for the class of 2020 here. She is a woman leader in health who has a bold vision. She is a trailblazer, ready to lead large-scale system reform. She is a talented innovator with a track record of remarkable professional leadership who would be considered for a senior executive position within five to seven years. She could be on the CEO track if supported to do so. She is accessible, yet an independent thinker who can synthesize disparate points of view and information. She pursues gaining a broader knowledge and future-oriented perspective of health. She is comfortable with “what if” scenarios and manages ambiguity well. She embodies a high performance culture, expected leadership behaviors, and reinforces the organization’s vision and values. She aims to be an inspirational, emotionally intelligent leader who has the ability to manage, motivate, and engage employees at all levels of the organization. She seeks to work across teams to create collaboration. She prioritizes and focuses on ideas, opportunities, issues, and projects based on business strategy, financial acumen, and a solid understanding of organizational and human nature. She makes timely, sound judgments in uncertain and changing situations. She aspires to develop and maintain quality, long-term relationships and partnerships based on transparency, trust, communication, confidentiality, and credibility to accomplish strategic objectives. She has the ability to influence others by clearly and concisely presenting and discussing opinions, ideas, information, and positions. She manages disagreements and conflicts with empathy and diplomacy. She reflects a diverse workforce and background and has demonstrated dedication to improving the lives of members of diverse communities. She recognizes the value of diversity and equity, and intentionally creates a safe, inclusive environment in her work setting. Availability to attend four on-site retreats during the 14-month program. There are no formal age requirements. However, the fellowship program is designed to provide a platform for candidates who have a record of leadership success and plan to establish themselves as premier figures in health to maximize the benefits to the fellows and their sponsoring organizations. Candidates cannot be related by blood or marriage to any governing or national advisory board member. Candidates must be authorized to work in the United States. Participants do not need to relocate and can continue their work full time.